It is estimated that, by 2018, there will be 50 million metric tonnes of e-waste produced per year, far-outstripping current capacities to properly manage it in an environmentally and socially appropriate manner. E-waste is a fast-growing waste stream in the world and poses a number of serious threats to human health and the environment. Conversely, if undertaken in an environmentally sound manner, e-waste recycling can offer sustainable livelihoods, green and decent work, and contribute to the development of a circular economy. The course opens on Monday 4th April, and is aimed at students and researchers, policy makers, practitioners, entrepreneurs, e-waste recyclers and government officials and invites participants to become part of the solution to this growing problem. 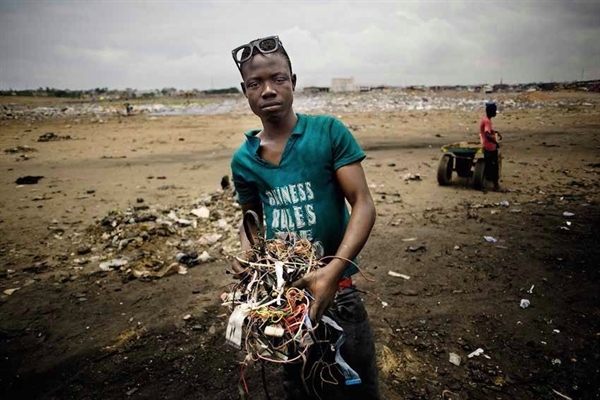 Relevant for developed and developing countries alike, the 8-week programme covers all aspects of e-waste with a view to turn the threat of this global tsunami of e-waste into an opportunity. The MOOC explores and explains the Basel Convention technical guidelines on transboundary movements of e-waste which were adopted on an interim basis at the last Conference of the Parties (COP) in May 2015, and which provide much-needed guidance on how to identify e-waste and used equipment moving between countries, with the aim of controlling illegal traffic. E-waste is categorized as hazardous waste due to the presence of toxic materials such as mercury, lead and brominated flame retardants which include some polybrominated diphenyl ethers listed in the annexes to the Stockholm Convention, considered as hazardous waste according to the Basel Convention. E-waste may also contain precious metals such as gold, copper and nickel and rare materials of strategic value such as indium and palladium. These precious and heavy metals could be recovered, recycled and used as valuable source of secondary raw materials. It has been documented that e-wastes are shipped to developing countries where it is often not managed in an environmentally sound manner, thus posing a serious threat to both human health and the environment. The MOOC has been developed in partnership by the Secretariat of the Basel, Rotterdam and Stockholm conventions, Climate-KIC, the University of Leuven (KU Leuven, Belgium),and the World Resources Forum.